Enjoy a day sampling a variety of award winning beers made in America's Finest City. 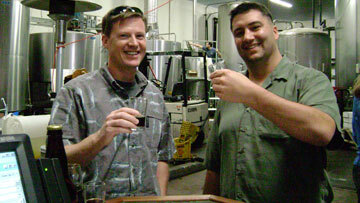 Since 2007 Brewery Tours of San Diego's knowledgeable staff has been dedicated to educating guests on the unique histories and processes of San Diego's popular breweries. It is no surprise that San Diego takes pride in their craft beer. With over 100 craft breweries in San Diego county, a beer enthusiast culture is thriving. Brewery Tours of San Diego provides a fun and safe way to visit San Diego's breweries, and taste many of their award winning beers. Join other beer enthusiasts to go on the ultimate San Diego brewery experience. Learn about the brewing process and taste a variety of great San Diego beers. Tour San Diego breweries with your own private vehicle. Our driver will take your group of friends on a unique brewery adventure full of fun and beer tasting. 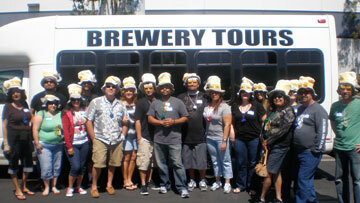 Treat your organization to San Diego’s finest beers as they tour the areas breweries. We can provide private brewery tours for larger groups and organizations. We have a variety of tours to choose from! Choose a tour route and join a group of other beer enthusiasts. Book a custom brewery tour on a private bus for your group. Great for celebrating with friends or for corporate gatherings. Book a private bus to get to and from other events and activities in San Diego. 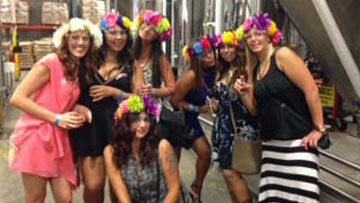 Check out the many San Diego craft breweries we visit on our tours!